Jason is the author of NET ALERT: Helping Your Child Overcome Internet Addiction Through Building Strong Relationships. 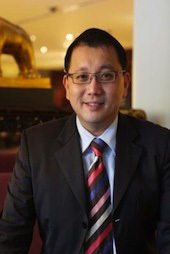 He started his first career with IBM upon graduation from National University of Singapore in 1990. He has worked in various parts of the world including Russia, China, Malaysia and Indonesia. In 2005, he decided to return to Singapore so as to spend more time with his family and bond with his children. Jason has conducted talks, trainings and workshops to thousands of parents, teachers and students on a wide range of topics including parent-child relationship management, character education, maximising of children’s potential, social and emotional learning for teenagers, multiple intelligences of children, anger management for children / teenagers, work-life balance and computer gaming addiction. Jason and his partners are passionate to advance parenting skills by providing high quality training programs and personal coaching for parents. Jason’s forte is on the handling and prevention of computer gaming addiction – a phenomenon that is pervasive in today’s society. To share his passion in helping parents with this prevalent social concern, Jason was invited by Mediacorp Singapore to be the guest speaker for Singapore Parenting Congress 2009 held in July. (www.mediacorpradio.sg/spc09). He was also interviewed by “The Living Room” on 938LIVE to share his knowledge with concerned parents on this subject. Jason is happily married to Emelyn Ho, a teacher with an immense passion for the Chinese language, with whom he shares the joy of raising two lovely children – Faith and Caleb.